Proud To Be Featured in My Alma Mater’s Publication. When I was in college, my friends used to tease that I was the “poster child” for the University of Virginia (UVA) because I love the school so much. 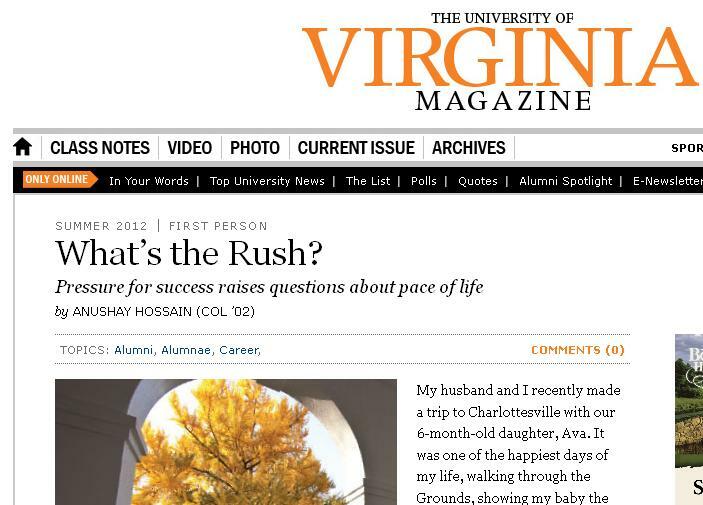 I was honored and humbled when the editors of my alma mater’s main publication got in touch to run an abridged version of my piece, “What’s the Rush? Learning & Accepting the Art of Slowing Down,” in their Summer 2012 issue of the University’s magazine. It is insane to think that it has been ten years since I graduated. Check out the piece here when you can. 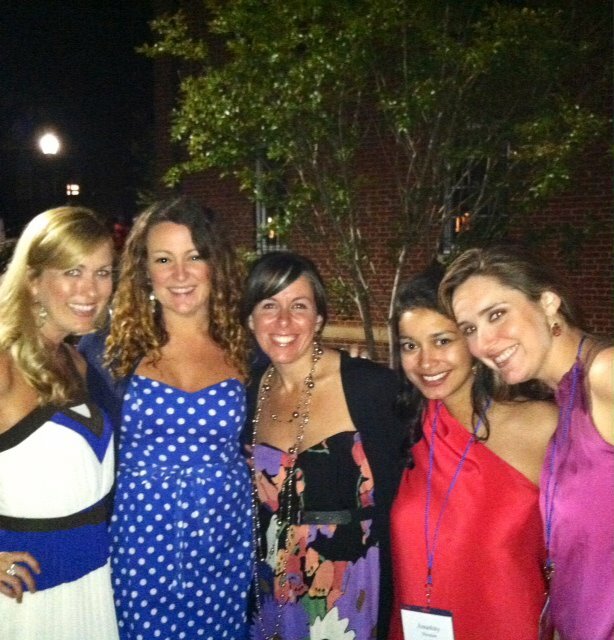 My Girlfriends & I at Our Ten Year College Reunion This Summer in Charlottesville.